My goal is to alter how your body experiences stress and holds emotional pain, AND help you learn how to change your habits and thoughts so that you can experience the life you truly desire. Healing from the past is the first step towards empowerment. The next step is cultivating the habits and skills to work with yourself in a way which, over time, increases your empowerment and success (in any area of life). I help you to do this both with mind-based approaches as well as somatic (body-based) techniques. Paying close attention to your thought patterns and habits, using neuro-linguistic programming and hypnotherapy is especially powerful when used in combination with approaches like de-armouring, biodynamic cranial touch and (sometimes) energy healing. Working with sensation is now understood by many cutting edge practitioners and therapists to be the key to healing stressful life experiences and trauma. Emotions and memories are held in the body as muscular and energetic patterns which affect our behaviour, feelings, and habitual responses. They are interpreted by the brain, and the information is acted out via our autonomic nervous system. Releasing the body at the level of both the muscular and the energetic system frees the body to experience joy. Ken Wilber has spoken about how there are two parallel roads of human growth in one’s lifetime, growing up, and awakening. Growing up is the domain of psychotherapy, and involves releasing a false sense of self, or working with shadow, trauma, and dysfunction. Awakening refers to a person’s gradual expansion of self-awareness beyond a limited “me” ego identification, and into an experiential awareness of our connectedness to all that is. 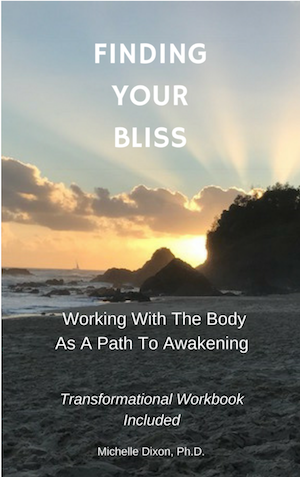 In my sessions, as we continue to work together, I give you tools to help you both ‘grow up’ in the sense of living a balanced and healthy sense of self, and I will also guide you to work with appropriate tools and practices for awakening. The stories we tell ourselves about our lives, our health, or our dreams – they are powerful forces in creating our reality. Beyond accepting, compassionately, what cannot be changed, together we can disentangle the unhelpful beliefs or patterns that hold you back, and create new narratives that move you forward. There are many tools for this, and we will identify what is best and most powerful for you. I use (depending on the client and session) a combination of energy, myofascial release, biodynamic cranial touch, and de-armouring. Which tool I choose, and how I use it, depends on your situation/energy! I may also use gentle verbal guidance, either asking you to breathe more freely, or to tell me what you sense, or even to help your subconscious mind access something for me so that we can work with it (in which case we might do inner child work, NLP, or mild hypnosis). You are unique, so my tools for you might include NLP (near-linguistic processing), hypnotherapy, energy healing, or bodywork. Or, it might be that we come up with some tangible action and new habits for you in order to shift your experience. For example, this might be rituals, yoga poses, pelvic floor exercises, meditation techniques, or just new ways of being in the world. It is extremely unlikely that any one process can resolve something instantly. Often, we need a little time and self-love to change, and a supportive relationship with a practitioner through all your stages of healing and growth can make all the difference. To read more about me, go here. To email me, go HERE. NOTE: I do not offer insurance rebates.